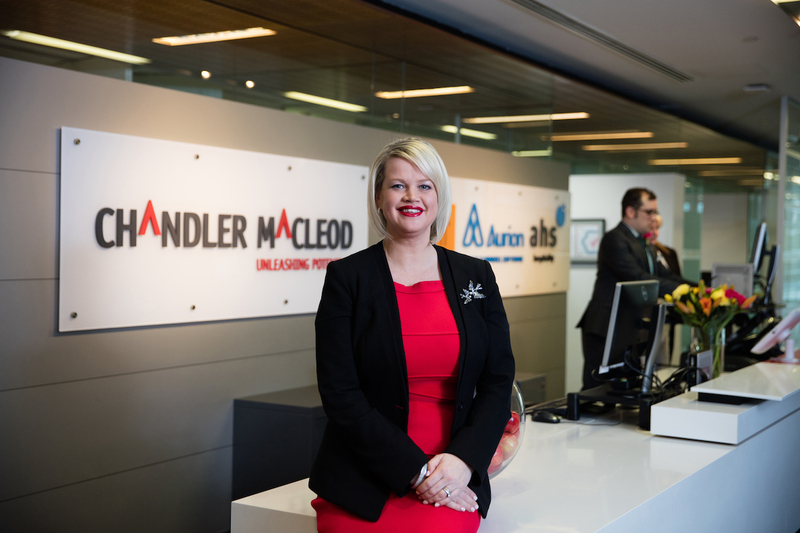 Michelle Loader, Chandler Macleod Group’s CEO and Managing Director, knows plenty about people and how they can either be a company’s greatest asset — or a major risk. Michelle believes the fact that she is able to bring her “whole self to work” is what makes her successful, and so it’s precisely what she seeks from her own workforce. While it’s true that an organisation’s greatest asset is its people, poor hiring can derail the progress of a business through decreased productivity, lowered employee morale, lost clients, reduced revenue and increased costs. Getting the right person, in the right role, at the right time is imperative to overall success. Being in the recruitment business for more than 57 years, Chandler Macleod Group’s solutions enable businesses to advance their capacity, capability and agility, while mitigating risks associated with recruitment. Michelle believes any strategy for team progress always encompasses diversity. “If you can attract the best and brightest people and surround yourself with the most diverse people, it just assures you of success. I'm really committed to making sure our people are similar enough, but also different enough,” she says. In an ever-evolving society, prospering in the business world has become dependent on being able to direct unique viewpoints to a shared purpose, which facilitates innovative outcomes. As well as cultivating her own inclusive Chandler Macleod Community, comprised of the company’s employees, candidates, clients, prospective customers, and industry stakeholders, Michelle proudly offers a unique perspective as a business within the larger industry. As well as cultivating her own inclusive Chandler Macleod Community, comprised of the company’s employees, candidates, clients, prospective customers, and industry stakeholders, Michelle proudly offers a unique perspective as a business within the larger industry. “Our ‘BestFit’ methodology sits behind us. We have a really big team of psychologists that work in our Chandler Macleod people insights business and that then provides us a lot of thought leadership across our other businesses,” explains Michelle. Chandler Macleod is celebrated for its BestFit recruitment methodology, which involves a deep analysis of the organisation, the role, and the person. It provides a flexible approach, accommodating varied job categories as it screens and recruits against desired attitudes as well as competencies. If you can attract the best and brightest people and surround yourself with the most diverse people, it just assures you of success.